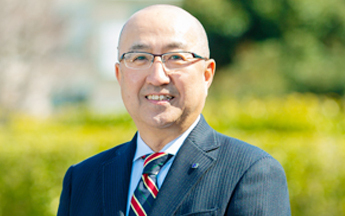 New President Takes Over Leadership of Japanese Hotelier Fujita Kanko | Fujita Kanko Inc.
March 27, 2019, Tokyo – Fujita Kanko Inc. announced the appointment of Yoshihiro Ise as its new president, effective today. Ise becomes the 13th president of Fujita Kanko in its 64-year history, succeeding Akira Segawa. The appointment was officially approved at today’s shareholder meeting and board of directors meeting. Ise previously served as Senior Managing Executive Officer, Fujita Kanko’s number two position. During his 36-year tenure with Fujita Kanko, Ise has held a broad range of positions at both corporate offices and hotels, which have progressively grown to encompass greater responsibilities. He has managed several key properties as General Manager, led multiple corporate initiatives, and developed new properties and brands. This year, under Ise’s direction, the company will announce its medium-term management plan beginning 2020. The new president is expected to revitalize and strengthen the company’s management and business practices. “This is an exciting and critical time for us,” said Ise. “The number of international visitors to Japan hit a record-high again in 2018, and shows no signs of decreasing. While we have tremendous opportunities, competition for market share remains fierce, and the industry faces a talent shortage. We are accelerating efforts to diversify our offerings as well as our talent pool. In terms of new ventures in 2018, Fujita Kanko launched its glamping business with two brands; opened a halal Japanese restaurant; and expanded the Hotel Gracery brand into Asia. This year it will launch “Tavinos,” a new hotel brand featuring AI, a serviced apartment in Indonesia, and a special temple lodging in Fukui. “We think and act both globally and locally, achieving high quality and efficiency in our businesses,” said Ise. Fujita Kanko Inc., established in 1955, is a publicly-traded tourism industry corporation headquartered in Tokyo. Besides its core hospitality business, it operates wedding and banquet facilities, high-end resorts, leisure facilities and related services. It has 70 properties/facilities, including its flagship, Hotel Chinzanso Tokyo, and 35 mid-priced hotels in the Hotel Gracery and Washington Hotels groups.